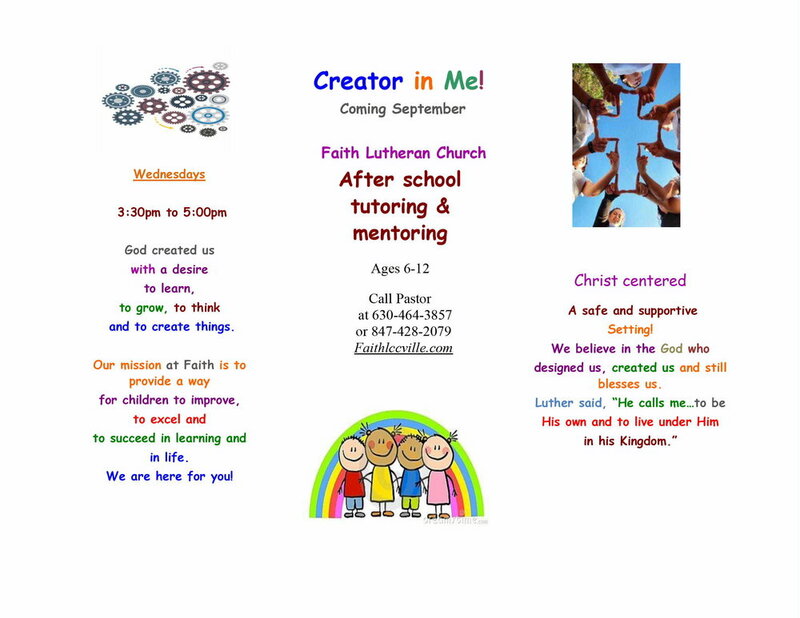 Informational meeting being held at Faith Lutheran in Carpentersville on September 9th at 9:00am. Join us to learn how your time can help change the life of a child/young adult through mentoring and/or tutoring. This is an informational meeting to learn about the program which will begin in late September/early October.